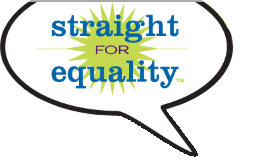 From 2009 - 2017, one of the most inspirational ways PFLAG National and the Straight for Equality program demonstrated the enormous contributions of allies was through the annual Straight for Equality Gala. This event, hosted at the Marriott Marquis in New York City, allowed us to celebrate high-profile allies and their selfless support of the LGBTQ community in ways that truly embody the spirit of PFLAG. Our work could not haved continued without them and we were so grateful for the opportunity to honor them over the years.